Every Year, Harley Davidson Dealerships around the World have to compete in a National Bike building competition, the “Battle of the Kings”. Depending on how the progress of the bike, the competition advances from a National, to a Continental / Regional to a Worldwide Harley Davidson Level. 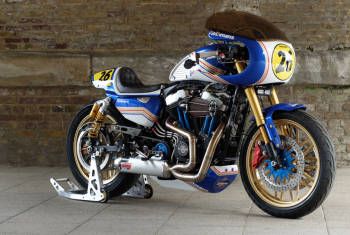 In 2016, Warrs Harley Davidson, the oldest HD Dealership in Europe, entered the competition with the “Rascal Racer” to go on to win it for a second consecutive time. Based on a XL883N Iron, the “Rascal Racer” was created to embrace a classic 1960s café racer moving toward a more modern look. 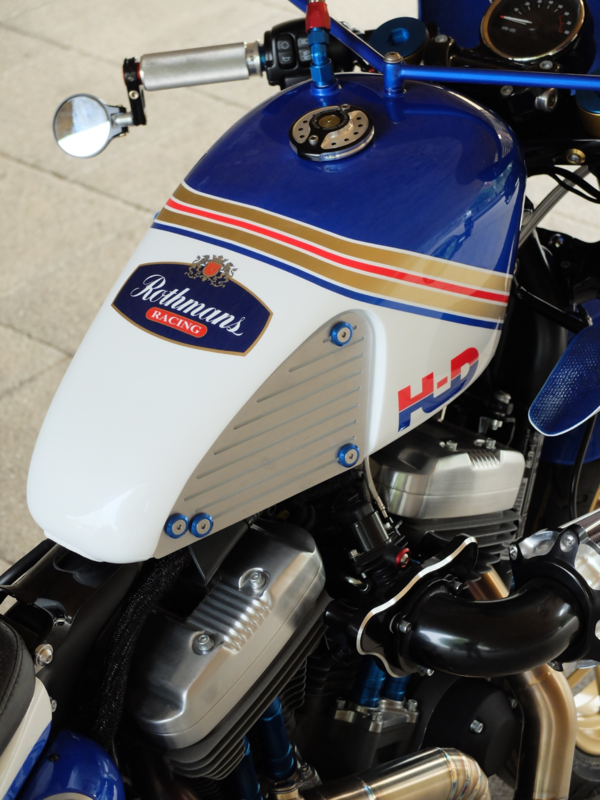 The uncut front fairing and the hand-crafted seat unit were among key features distinguishing it from the competition. The design focused on cutting out the unnecessary and emphasising the simple beauty of the Iron. As they say, less is more. 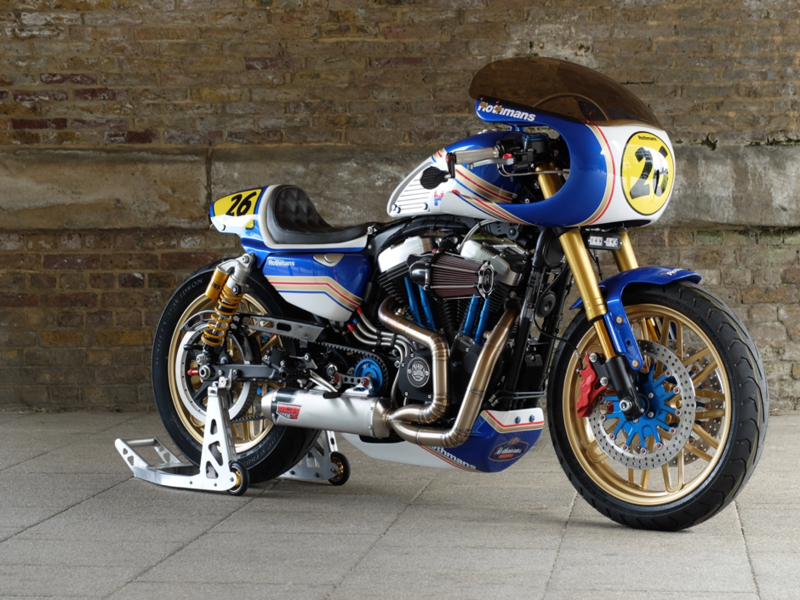 Other inspirations into the design of the bike came from the XLCR, the Willie G. café racer of the 70s, 1960s race bikes but with strong H-D influences. Charles “Charlie” Stockwell has run Warr’s King’s Road Customs as Head of Design & Custom within Warr’s H-D since the year 2000 and has been a trained factory technician for over 20 years. His passion for motorcycles started when he was 13 years old. His influence came through family related interest. 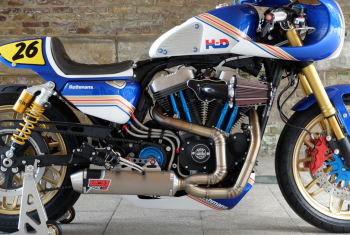 The skills he learnt during his studies of art and graphic design in London, later and still today help him to embrace his passion for Harley Davidson and creative design. He lets each and every customer experience a unique way of customisation through freedom of design, expressiveness and creation. 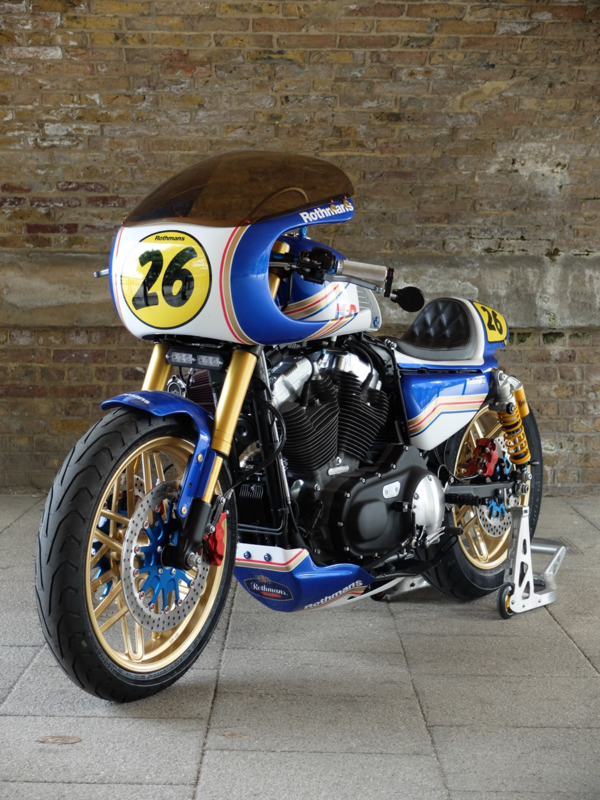 Coming from the love of the design of the Battle of the Kings winning “Rascal Racer”, the “JT26 Rascal” was influenced by many bespoke points. To start with, the base model chosen was not a XL883N IRON, but the newly released, better handling XL1200CX Roadster, offering a pure riding machine concept from Milwaukee. To tailor and emphasise even more the thoroughbred racing heritage, this bike features many unique touches. The highlights lie with the Vance & Hines Prototype T-1 Competition Titanium Exhaust system. 1 of only 4 built in the world. A full Öhlins front and rear racing suspension set up and a Performance Machine 6 Piston front and rear Brake upgrade. However, other unique features lie within the details of the Bike. 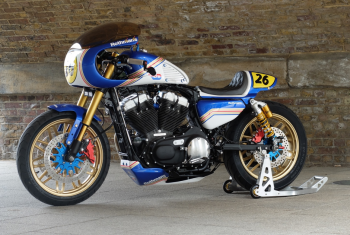 The exterior paint job was done by none other than UK’s leading painter “Image Design Custom” and was Influence by the two main loves of the owner, the 1980s & 1990s Rothmans HRC Honda NSR500 racing bikes and FC Chelsea’s John Terry. From the Mid 1980s to the late 90s Honda Racing Corporation (HONDA HRC) dominated the 500CC motorcycling class by winning the World Championships in 85, 87, 89 and 94-99. 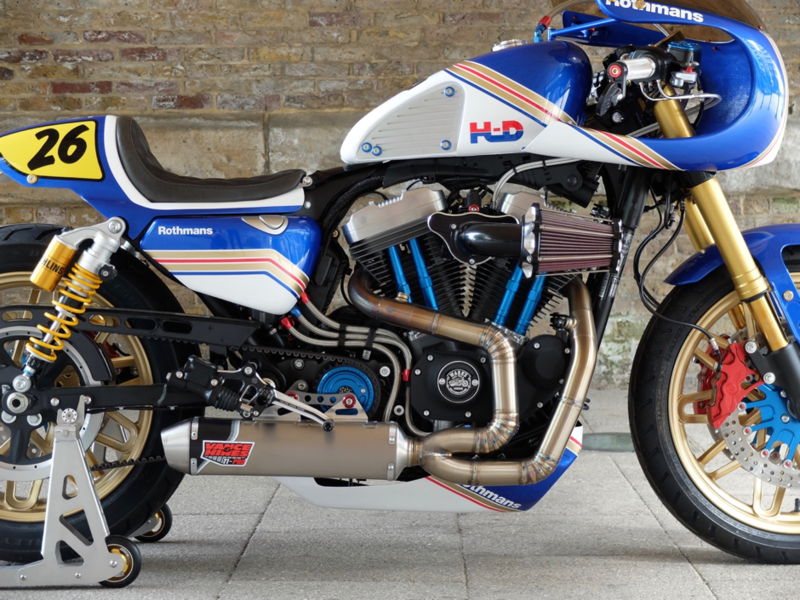 This dominance came with the name of Freddie Spencer 85, Wayne Gardner 87, Eddie Lawson 89 and Mick Doohan 94-98. 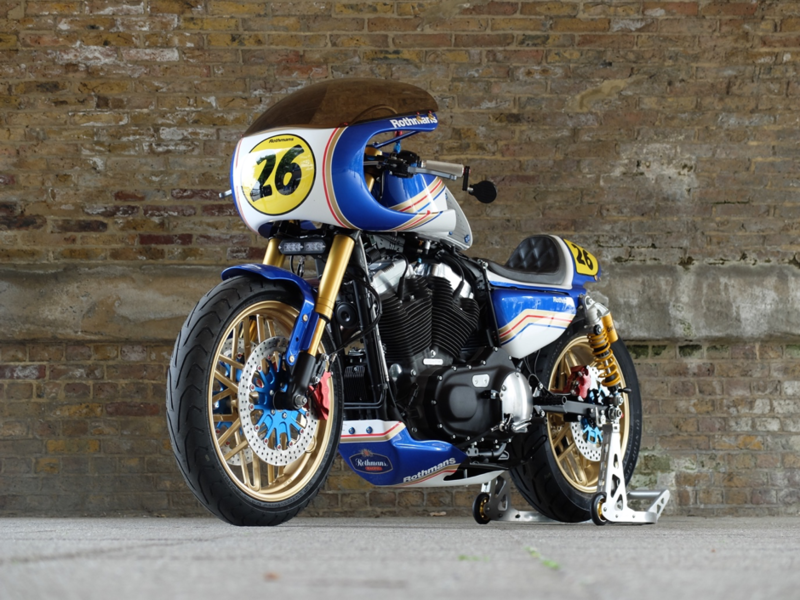 To honour the respect of this achievement, the many visual elements of the period racing bikes were taken into account with the colour scheme of the JT26 Rascal. 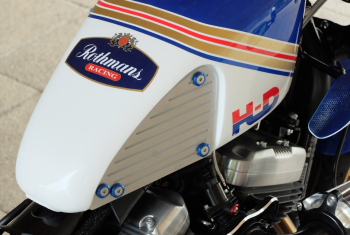 Obviously, the eye-catching colours of the Rothmans International (Rothmans Racing) sponsorship for many 1980s and 1990s racing classes was a must, not only because the NSR500s were dominated in this colour dress. The other love interest to the owner is London’s Chelsea FC and his favourite player, non-other than Club and England Legend John Terry, i.e. “JT”. His jersey number, the “26” and the Chelsea FC Lions logo can be found around the bike. 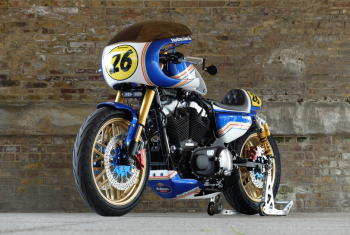 The JT26 Rascal was displayed at the private Chelsea Harbour Bike show in September 2016, the Motorcycle Live at the NEC in Birmingham in November 2016 and was featured as by MAGEurope and Öhlins at the Motorcycle Expo in Verona, Italy in February 2017. 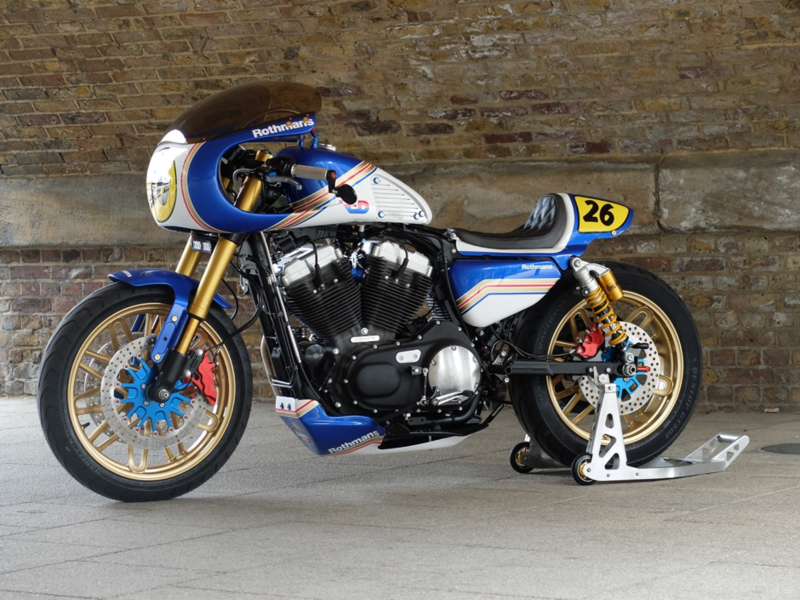 It was never entered in a competition by the owner, however during its stay at Verona, visitors and judges voted it to come 3rd out of 165 bikes displayed.